RAM trucks are a great option for people who enjoy off-road trips and who work construction jobs that require regular transportation of heavy objects. The new RAM truck lineup at Woody Folsom CDJR in Baxley includes the RAM 2500 and RAM 3500, which offer power, storage, durability, and unsurpassed towing capacity. Another advantage of a pickup truck is its track record for safety. The trucks at our Baxley RAM dealership have been awarded Four-Star Safety ratings from the NHTSA. 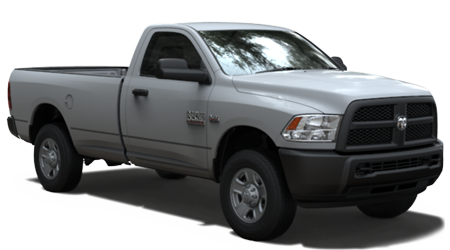 The RAM 2500 fits between the standard RAM 1500 and the heavy-duty RAM 3500. Available with two-wheel or four-wheel drive, the RAM 2500 truck offers a 5.7-liter V8 engine that produces 383 horsepower and 400 lb-ft of torque. Safety equipment for the 2016 RAM 2500 includes front-seat and side airbags, antilock disc brakes, stability and traction control, and a rearview camera. On the inside, the RAM 2500 offers quality interior, including intricate stitching, metallic accents, and plush seats. Standard safety features on the RAM 2500 include airbags, stability control, hill-start assist, and a rearview camera. When it comes to serious towing and payload, the RAM 3500 delivers. The standard 5.7-liter Hemi V8 engine offers plenty of power, enough to tow up to 14,000lb, and power output is an impressive 383 horsepower. The RAM trucks also offer some of the nicest, most comfortable cabins ever to grace a work truck. The RAM 3500 was selected as one of the favored new construction products by Equipment Today. RAM 2500 models belong to the class of Light Duty pickups, while RAM 3500 is a middle range class model. The RAM 2500 is not quite as refined as the 3500, but doesn't lack in toughness. 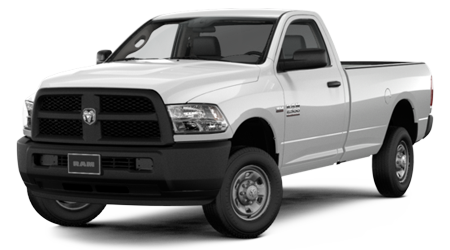 RAM 2500 is a light-duty truck that is sold with powerful engines designed to run heavy loads and comes in a variety of trim options. The 2500 RAM model has attracted a variety of customers due to its combination of power and elegance. In comparison, the heavy-duty RAM 3500 offers a manual transmission with the turbodiesel -- the only truck that offers that option. If you're in the market for a pickup truck, visit Woody Folsom CDJR and check out our new inventory of 2016 RAM 2500 and RAM 3500. We have the latest RAM models in stock in a wide range of trim levels, colors, and available options. Woody Folsom CDJR is located at 1859 Golden Isles West, in Baxley and serves nearby communities including Baxley, Pine Grove, Graham, Dublin, Savannah, Jacksonville, Brunswick, and Hilton Head. With a wide selection of RAM pickup trucks, you can't go wrong when you buy a new vehicle at Woody Folsom CDJR!